How brewers and drinkers define “extreme beer” has evolved in the last decade, from super-strong stouts and high-IBU IPAs to barrel-aged, wild-fermented sour ales featuring all sorts of funk. Taste the bleeding edge of brewers’ experiments for yourself at the annual Extreme Beer Fest. As if February in Phoenix doesn’t already sound appealing enough, the annual Arizona Beer Week makes a strong case for fleeing chillier climes. You can expect 10 days of beer events, dinners and tastings, plus the annual Strong Beer Festival on the 13th, with brewers from around the state and beyond. This self-proclaimed “Carnival of Stout,” hosted by Astoria’s Fort George Brewery, is the perfect pre-Valentine’s Day celebration. The one-day fest features a host of “dark arts,” including tattoo artistry, belly dancing, tarot card reading and tintype photography, plus, of course, plenty of deep, dark stouts. One of the main events of NYC’s Beer Week (taking place Feb. 19-28), the jam-packed NYC Brewer’s Choice features more than three dozen breweries, many of which brew a special beer for the event using New York- state-grown ingredients, a homebrewers’ pavilion, the “Local Beer Hero” Awards and more. 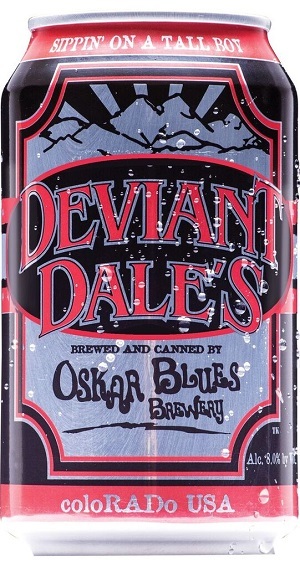 While fans of Deviant Dale’s may be disappointed to find that the piney, resiny double IPA from Oskar Blues is no longer available year-round, the bright side is that it’s available for a limited release, from January through March, to maximize the freshest hops of the harvest. And you can now grab a sixer of it, as it’s making the switch from four-packs of 16-ounce cans to six-packs of 12-ounce cans. Get an early taste of spring with Bell’s Consecrator Doppelbock, a well-balanced, full-bodied lager with hints of caramel and molasses. Consecrator, which undergoes a three-month lagering period, is brewed for a Fat Tuesday (Feb. 17) release, and is available on draft and in six-packs of 12-ounce bottles. 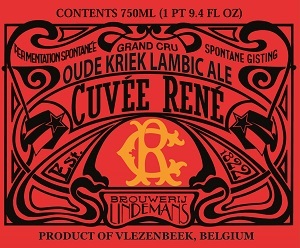 From Belgian lambic brewery Lindemans, Oude Kriek Cuvée René is a traditional lambic brewed with whole cherries, fermented by wild yeast, aged in oak and bottle-conditioned. Named for family patriarch René Lindemans, the lambic is a new regular addition to the lineup and is available in 750-mL bottles. From Citra to Simcoe to Motueka, hop varieties these days have a following of their own, as drinkers seek out styles made with their favorites. But they also allow breweries to put a signature stamp on their pale ales, IPAs and more. 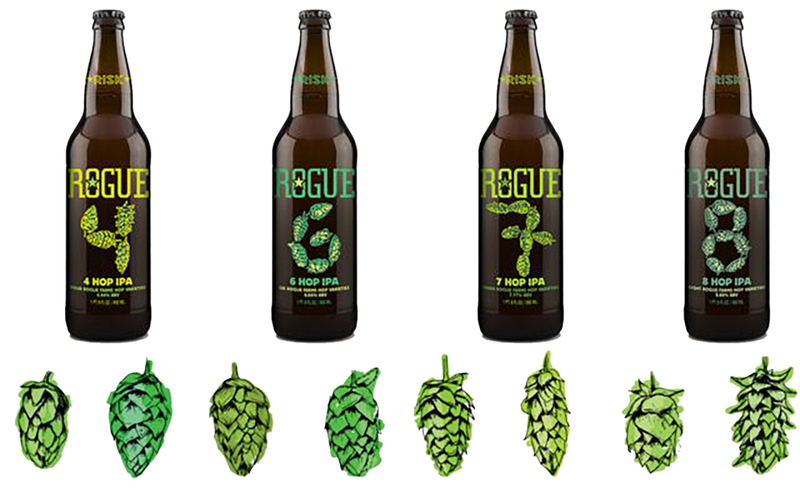 Rogue’s new Hop Family series aims to do just that, with a series of four IPAs featuring different blends of aroma hops grown at its farm in Independence, Oregon. The lineup consists of 4 Hop IPA (4.44%), 6 Hop IPA (6.66%), 7 Hop IPA (7.77%) and 8 Hop IPA (8.88%), and the hop varieties include Rogue strains like Freedom, Rebel and Independent. Hop in 22-ounce bottles. The series debuts in January. After a 10-year anniversary in 2014 and a shift in ownership (from original founders Tom and Jan Peters to their daughter, Tina Peters), Fort Collins Brewery is looking ahead and mixing things up. To start, the brewery worked with a local artist to design all-new packaging for its core brands, seasonal beers and Brewers Lunch Box variety pack, and, for the first time, will be switching its core brands into cans. These include Red Banshee, a 5.3% red ale brewed with Magnum and Tettnanger hops, 1020 Pale Ale and Rocky Mountain IPA. Several recipes, including Red Banshee, are undergoing a revamp as well, according to Katie Nierling, national sales manager for FCB. The brewery is also kicking off its new limited-release Savor Series of higher-ABV beers meant for cellaring. The line, packaged in 500-mL bottles, highlights brewers’ passion projects. The first release, a 10.5% American-style barley wine, is out in February and is brewed with Columbus hops and dry-hopped with El Dorado.